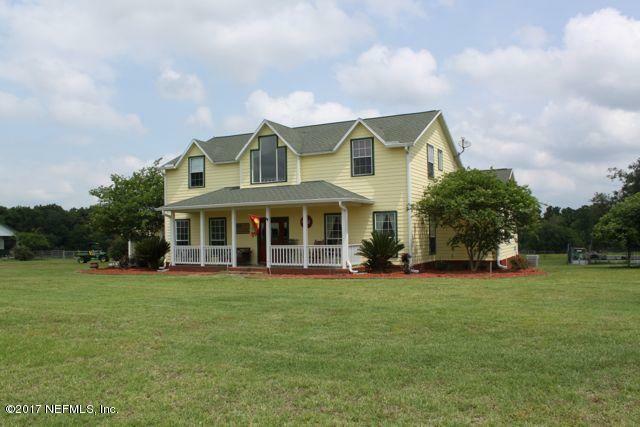 Two story farm house on 18+/- acres in New River. Excellent pasture fenced and cross-fenced. Morton 6 stall horse barn with feed room and tack room. 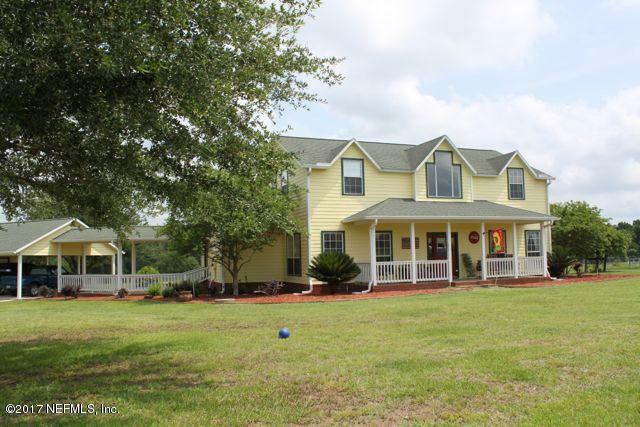 This haven for horse lovers is conveniently located between the Jacksonville Equestrian Center (47 minutes); Canterbury Equestrian Center (40 minutes); and the Ocala HITS center (1 hour). 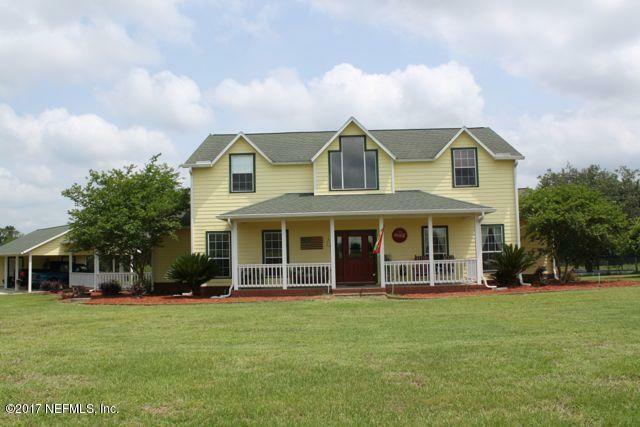 Home features include first floor master suite, walk in closets in every bedroom, office that could be used as 4th bedroom, screened porch, large kitchen with walk in pantry, solid wood cabinetry throughout. Real wood floors in living room, dining room, and foyer. Ceramic tile in all baths, kitchen, breakfast room and laundry room. Stone fireplace w/ mantle, hearth and gas logs. Walk in attic storage. Zoned AC units. 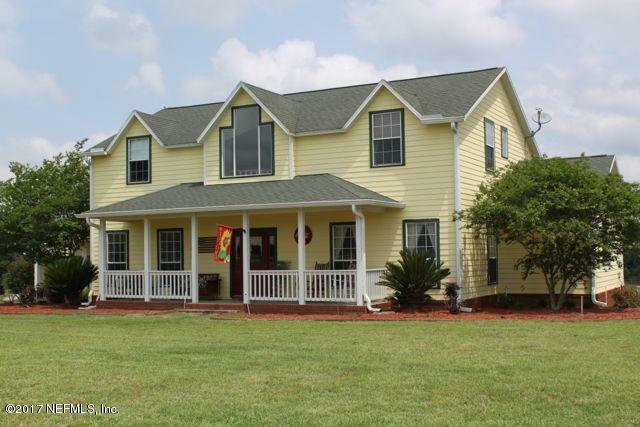 Attached double carport w/1-car garage.